What’s New for the 2018 Subaru Forester? Compared to last year’s model, the Subaru Forester is receiving some new additions for the 2018 model year. The most notable addition is the brand new Black Edition Package for the 2.5i. The package includes paddle shifters, X-Mode, Hill Descent Control, and LED Steering Responsive Headlights. The Forester’s exterior also gets a spruce with the package, with 18-inch black alloy wheels, black accent trim on the fog lights, and an overall black exterior and distinguished grille. The 2018 Subaru Forester is available in five trims: 2.5i Standard, 2.5i Premium, 2.5i Limited, 2.5i Touring, 2.0 XT Premium. 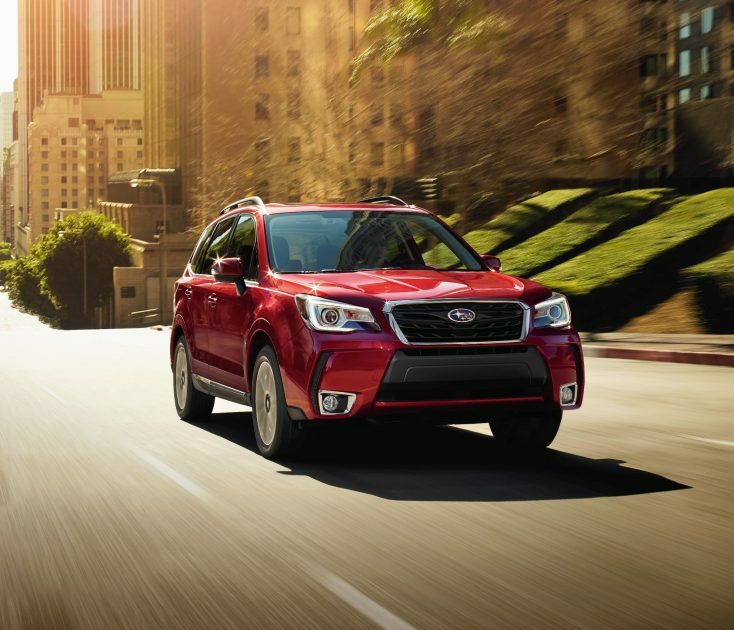 Sporting signature Subaru styling, with the C-shaped headlights and tail lights, a panoramic power moonroof, and a power rear gate, the Subaru Forester is built from the ground up with sophistication and convenience in mind. The Forester also comes with standard symmetrical all-wheel drive for premium handling. The 2018 Subaru Forester is available in eight exterior colors: Crystal Black Silica, Dark Gray Metallic, Ice Silver Metallic, Jasmine Green Metallic, Quartz Blue Pearl, Sepia Bronze Metallic, Venetian Red Pearl, and Crystal White Pearl. 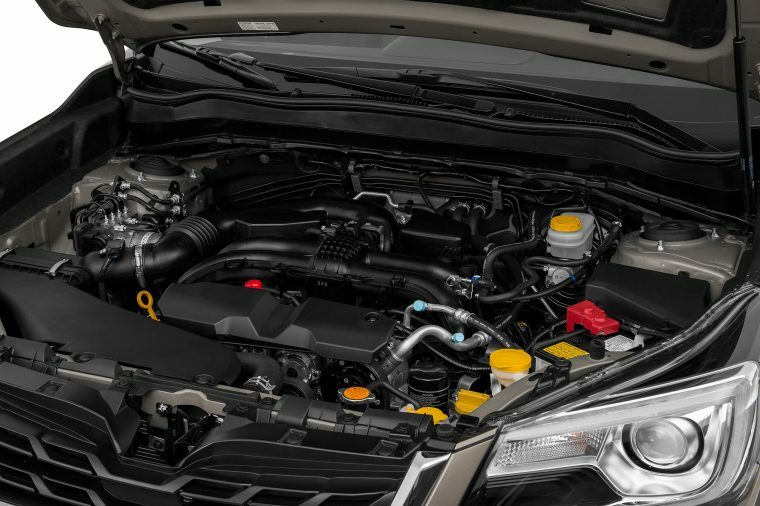 Across all of its 2.5i trims, the 2018 Subaru Forester comes standard with a 2.5-liter DOHC aluminum-alloy 16-valve four-cylinder horizontally opposed SUBARU BOXER® engine, equipped with an Active Valve Control System (AVCS). This engine is paired to a fully-synchronized six-speed manual transmission with Incline Start Assist, earning it 170 horsepower and 174 lb-ft of torque. 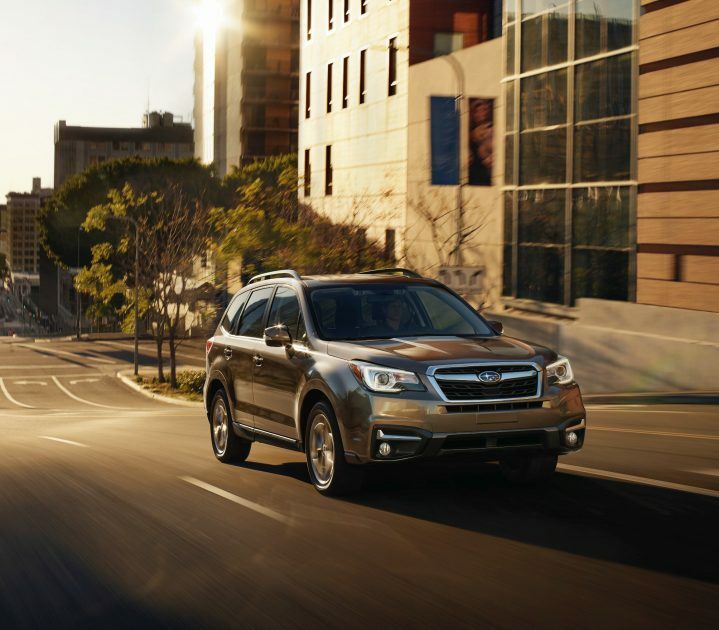 On the highest trim level, 2.0 XT Premium, the Forester comes standard with a 2.0-liter DOHC Direct Injection Turbocharged (DIT) intercooled, aluminum-alloy 16-valve four-cylinder horizontally opposed SUBARU BOXER® engine. The engine is equipped with a Dual Active Valve Control System (DAVCS) and paired to a Lineartronic® Continuously Variable Transmission with Adaptive Control, Incline Start Assist, and six- and eight-speed manual modes. Together, the 2.0 XT Premium’s powertrain exudes 250 horsepower and 258 lb-ft of torque. 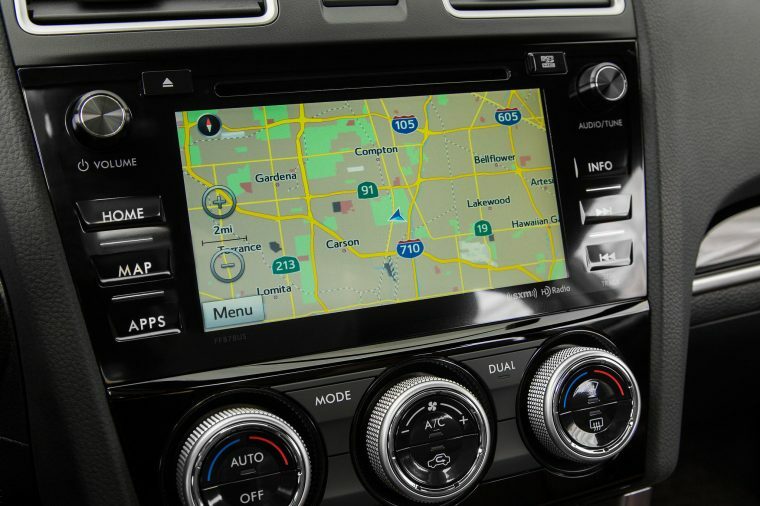 Designed with style and comfort in mind, the 2018 Subaru Forester’s cabin is dressed with luxurious materials and high-tech features. The Forester has enough space for the whole family, with seating for up to five passengers inside 108.3 cubic feet of passenger volume and 74.7 cubic feet of available cargo volume. 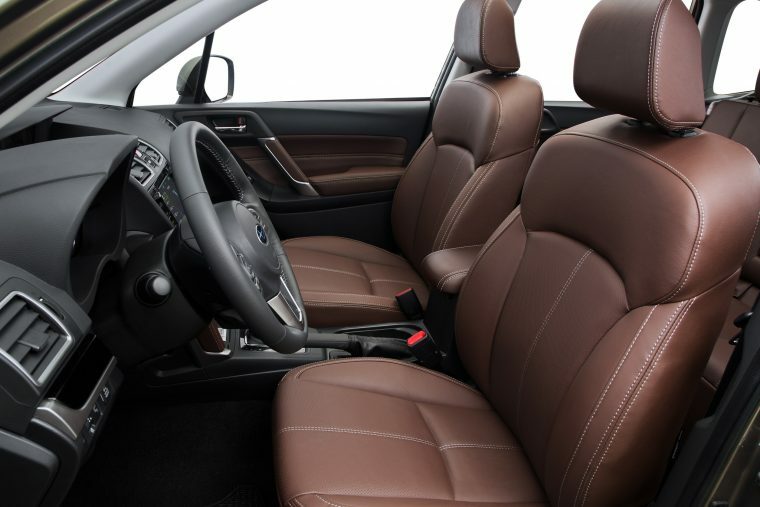 The 2018 Subaru Forester is available in six interior colors and materials: Platinum Cloth, Platinum Leather, Black Cloth, Black Cloth + PVC, Black Leather, and Brown Leather. 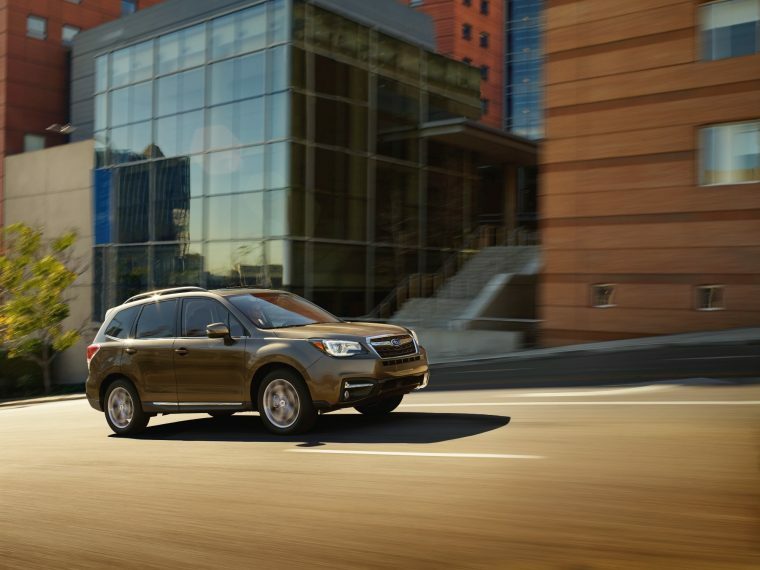 Equipped with standard Subaru symmetrical all-wheel drive across every trim level, the Subaru Forester offers drivers excellent handling capabilities. The 2018 Forester also comes standard with a rear-vision camera as well as Brake Assist technologies to help protect those inside and outside the cabin.